Millions of dead turtles crushed by the foot of Mario. When will he ever learn!? 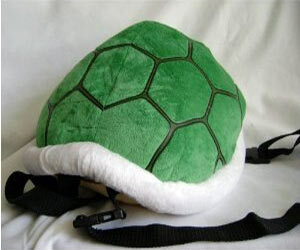 Show your support for the Koopa Troopas and your affinity for the awesome world of Mario Bros.
Who didn't dream of owning a pair when they were kids? Not only can you now see in the dark, but you can actually record video and download it to your computer via USB. Become the secret agent you always knew you were. Face it, rain or shine, you have to text some time. 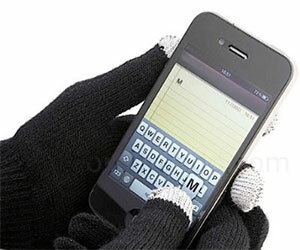 Why take your gloves off like a sucker when you can keep your hands toasty warm and text at the same time. 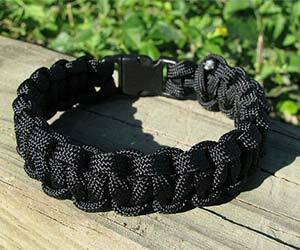 In a life or death situation, you cannot imagine how important something as simple as high strength cord could be. Helping to build shelters, snaring prey, or even medical applications are a few of the countless things you could use this for in an emergency. Tired of jittery videos? Now take movie shots like a pro. 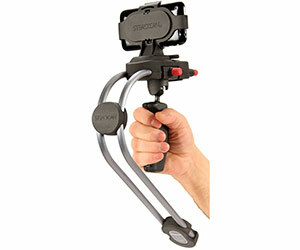 This counter-balanced hand-held camera unit will make your videos smooth and steady. It also doubles as a camera tripod. Be the beer master at your next meet-up. 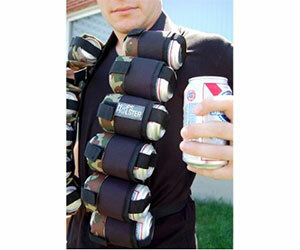 When you're ready to wage a war on sobriety, you'll be prepared. No longer will you have to walk to the cooler again like a sucker. With these foam insulated slots you'll always be ready for a cold one. BEER ME! 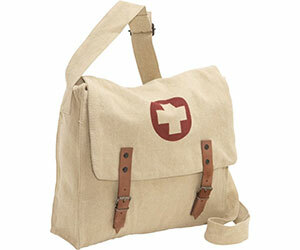 Whether you're bringing medical relief to the battlefield or taking an underwater basket weaving course at the university, you will be prepared with your very own medic messenger bag. Look stylish while being functional. 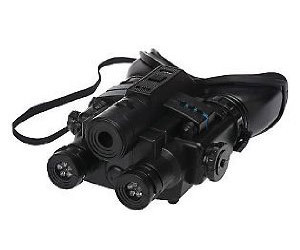 For the ultimate paranoid. Now you can survive a plane, air balloon, or ship crash on your favorite hostile location. 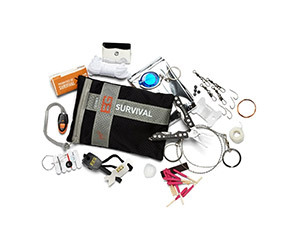 Survive like a pro with the kit from a man who knows how to drink his own urine like a pro. For the photographer who needs ease of access to their camera at a moment's notice, or a person on the town with their point and shoot. 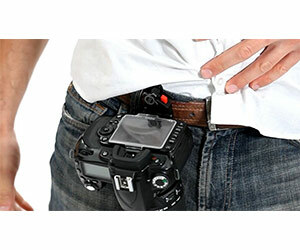 This ingenious clip fits ANY kind of camera on belts and straps up to 3 in thick. 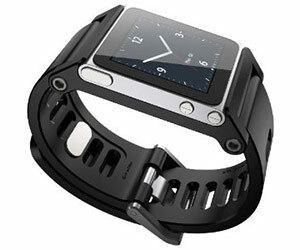 Transform your boring old iPod Nano into a portable and functional piece. Snap in your Nano and off you go. 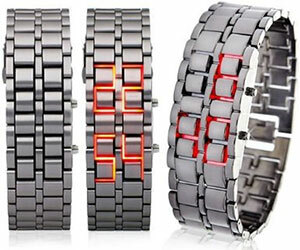 You now have a functional time piece, and fashion to boot. 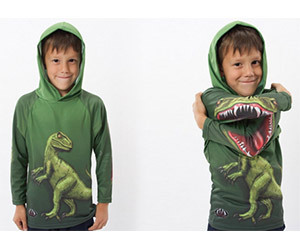 Bring your child's passion for those awesome reptiles we know as dinosaurs everywhere they go. Not only will they enjoy wearing their dinosaur clothes, but they can play out the dino hunt too. 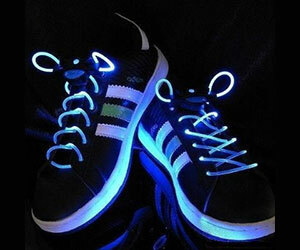 Be it a rave or strolling through town at night, you'll look awesome with your shoes a'glow with these awesome light up laces. These aren't your regular glow sticks, these are LED lit. These will last you time and time again. Feel like a secret agent each time you check what time it is. Show your friends your style and class in accessories when they ask for the time. Stop right there... while I take a drink. 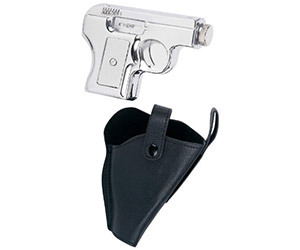 Holster yourself some fine spirits in this pistol flask. 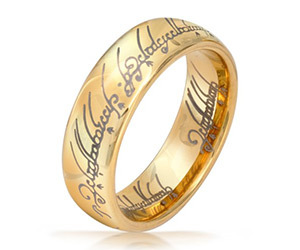 Made of stainless steel, it also looks as awesome as what's inside tastes. Pip pip, cheerio'! Bring your party to ye olden times, when spectacular, manly, handlebar moustaches roamed free in the streets from Yorkshire to the Wild West. Mmmm... sprinkles. 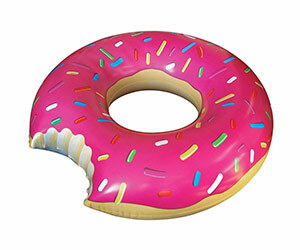 Show everyone at the pool your love for delicious, pink, sprinkled donuts. Careful, don't eat the rest of it. You're going to need that to float. 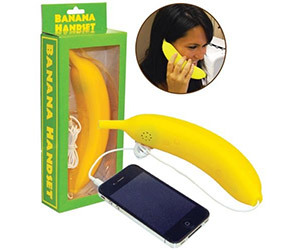 Ring, ring, ring, ring, ring, ring, ring, Banana Phone. 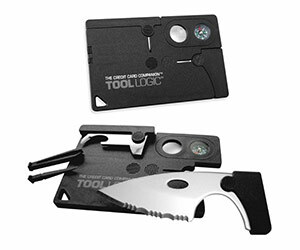 Now people can look at you like you're crazy and have a reason for doing so. Show that hobo who's boss. Good day, O'l chap! 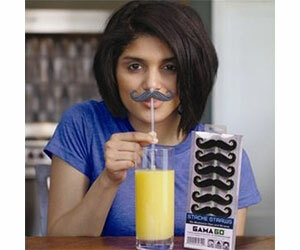 Show your friends just how bougie you are, or maybe disguise yourself in public. 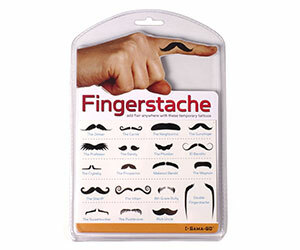 These temporary moustache tattoos are the perfect way to show people just how classy you are. Mr. Pickles wants out for a walk, but it's raining again. What to do? 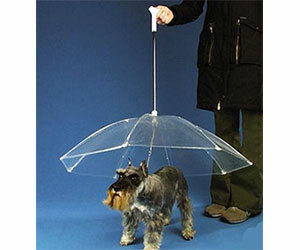 With this handy leash you will no longer have to worry about that wet dog smell again after a walk in the rain. Enjoy toast, but hate the grease stains it leaves behind in your pockets? Now you no longer have to worry. 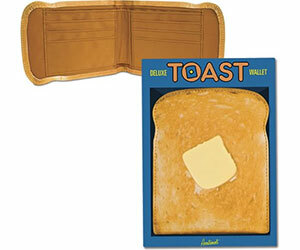 You can now take your toast with you everywhere you go. It even has a wallet function too. Did you spend a lifetime building skull lava fortresses and giant diamond statues too? 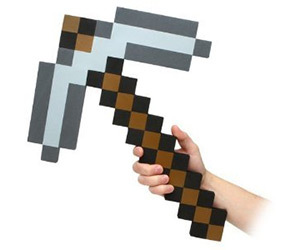 Can't get enough Minecraft in your life? 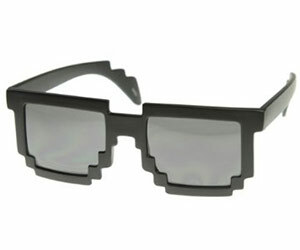 Now you can bring the game into reality. 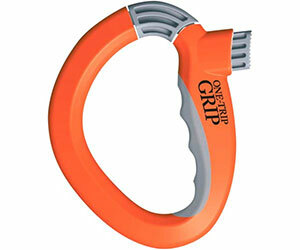 Start chipping away with this crafted tool.